A Sense of Wonder | Editor's Note | Kids VT - small people, big ideas! A handful of books loom large in my childhood. I remember being blown away when my fourth grade teacher, Mr. Brownsword, read The Phantom Tollbooth aloud to our class. He paced around the room in stocking feet and narrated with such expressiveness that Milo and his whimsical adventures are forever emblazoned in my mind. I went through a mystery phase, entranced with titles like The Girl with the Silver Eyes and From the Mixed-Up Files of Mrs. Basil E. Frankweiler. And, as I got older, Judy Blume answered my burning questions, and raised a few more, in books like Blubber and Are You There God? It's Me, Margaret. I can't say for certain what books will stand out in my kids' minds when they grow up, but, for my 10-year-old daughter, Mira, I'd bet that R.J. Palacio's Wonder will make the cut. The novel centers around Auggie Pullman, a fifth grader with facial differences entering school for the first time. When my husband read the book to Mira last year, she soon became obsessed with all things Wonder. She's read the companion book, Auggie & Me: Three Wonder Stories, and still listens to the Wonder audio book almost every night before bed. She couldn't wait for the movie based on the book to come out, and it was a joy to see it with our whole family in November. 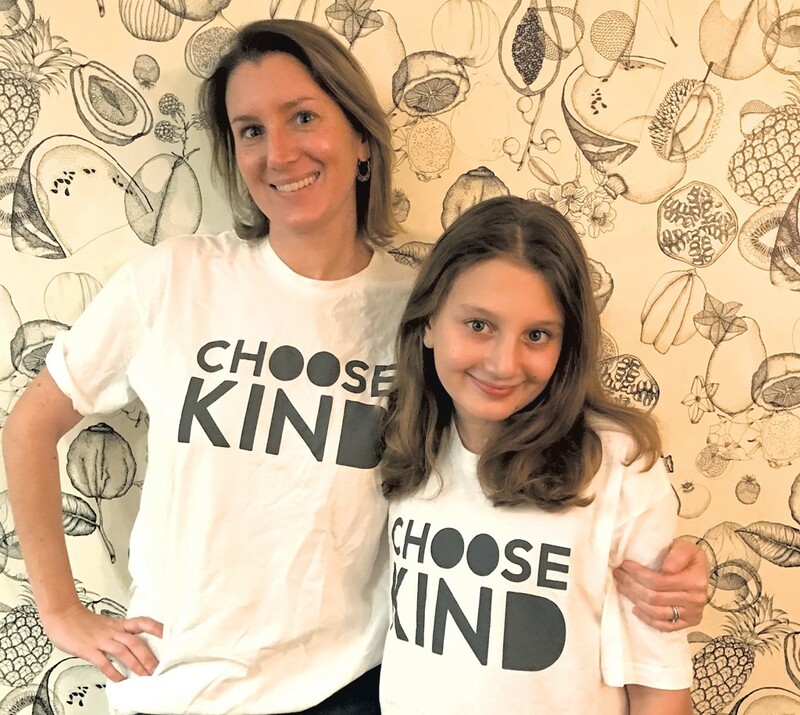 Though I'd like to think that my kids are naturally empathetic, I also know that books like Wonder — with its motto, "Choose Kind" — give them a deeper understanding of what it's like to be different. I'm grateful to Palacio and other children's authors who've written books in a similar vein for providing reading material that stimulates kids' minds and their hearts. In this month's issue, Ken Picard writes about plastic surgeon Dr. Donald Laub, who performs operations on children in Vermont and overseas who have facial differences similar to those of Wonder's Auggie. Dr. Laub's work doesn't just alter his patients' physical appearance, but helps to improve their emotional well-being and quality of life, too. We've packed the pages with lots more diverse content, sure to satisfy the omnivorous reader. Read my story on Vermont families who employ foreign live-in babysitters known as au pairs — a childcare arrangement that's, surprisingly, financially comparable to putting two children in full-time daycare. Check out what VPR's "Morning Edition" host Mitch Wertlieb and his wife, Erin, have to say about parenting in "Balancing Act." Learn about indoor skating at Stowe Arena and how to make your own board games. As we ring in a new year, I'm also pleased to introduce a new member of our staff. Mary Ann Lickteig, who's worked for us as a freelance writer for several years, joins Kids VT as the contributing editor. Lickteig has worked as a reporter at the Burlington Free Press, the Des Moines Register and the Associated Press. She's also raising four children, ranging in age from 12 to 16. We're fortunate to have her on our team!